Remember the Audio Technica AT-637 Stylus Cleaner? ..well, say hello to the new Flux Sonic electronic sylus cleaner. The highly regarded Audio Technica AT-637 was a stylus cleaner that used a vibrating pad to clean your stylus. Discontinued decades ago, the AT-637 was used widely by vinyl enthusiasts the world over. This little beauty only ceased being produced because the original tooling actually broke and due to the rising popularity of CD, Audio Technica decided to cease production. 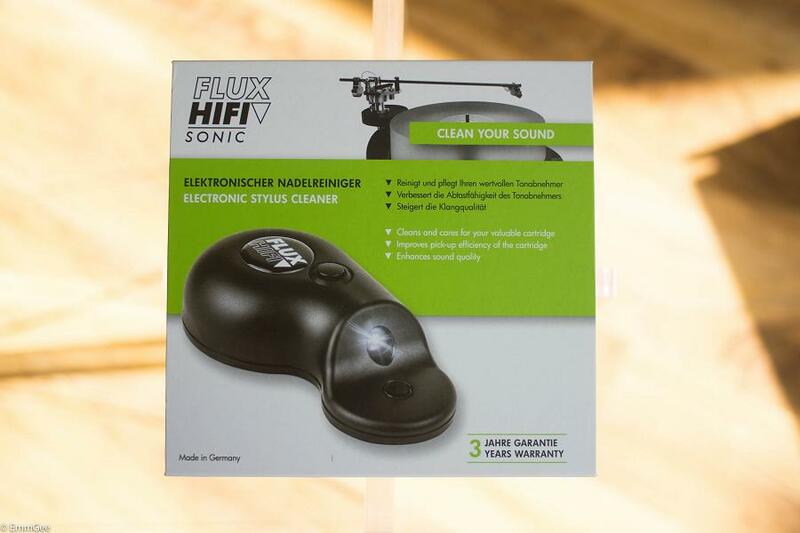 Over 20 years later, enter the Flux Sonic electronic stylus cleaner from Flux Sonic. Designed and manufactured in Germany, the Flux Sonic uses the same principles as the AT-637. Now, we know how important a clean stylus is for vinyl playback, especially for those cherished heavy weight pressings. 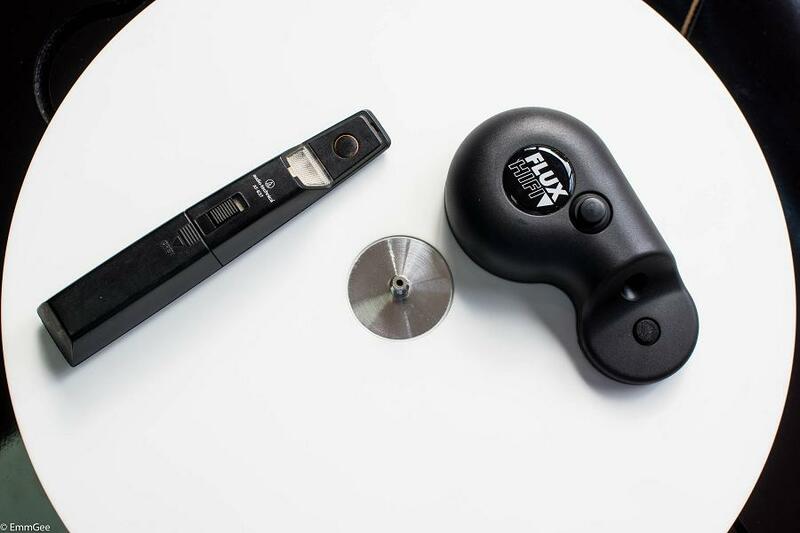 The Flux Sonic uses ultrasonic vibrations and cleaning solution to remove dirt and grime from the stylus. 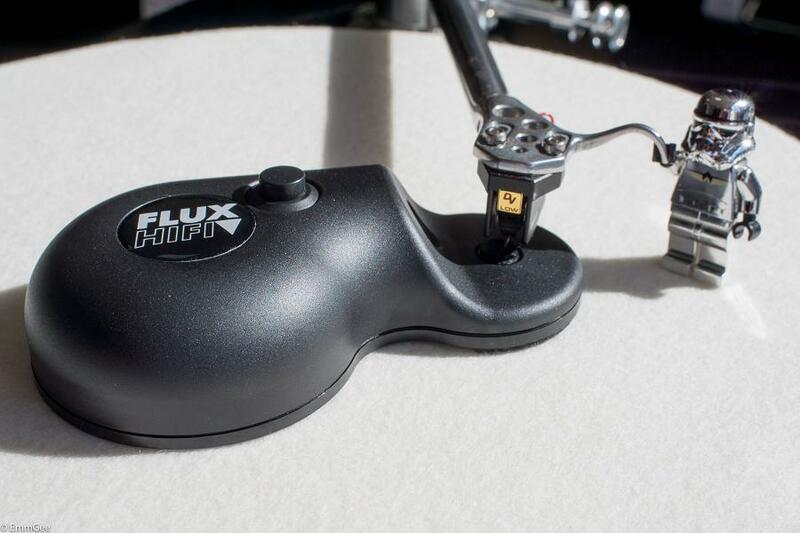 So if you want to rejuvinate your old stylus or maintain your new one, the Flux Sonic offers the best way. Analog Planet had a play with one not so long ago. Read all about it here. 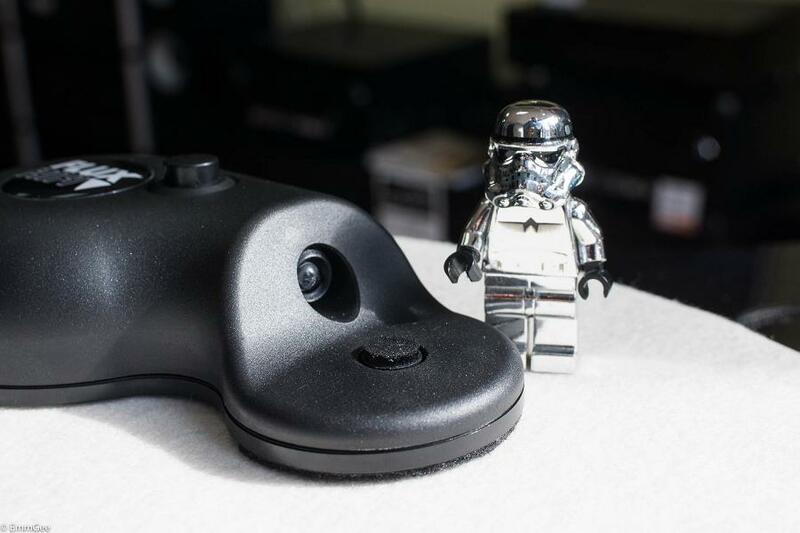 We have noticed that the build quality is very good (built to last). 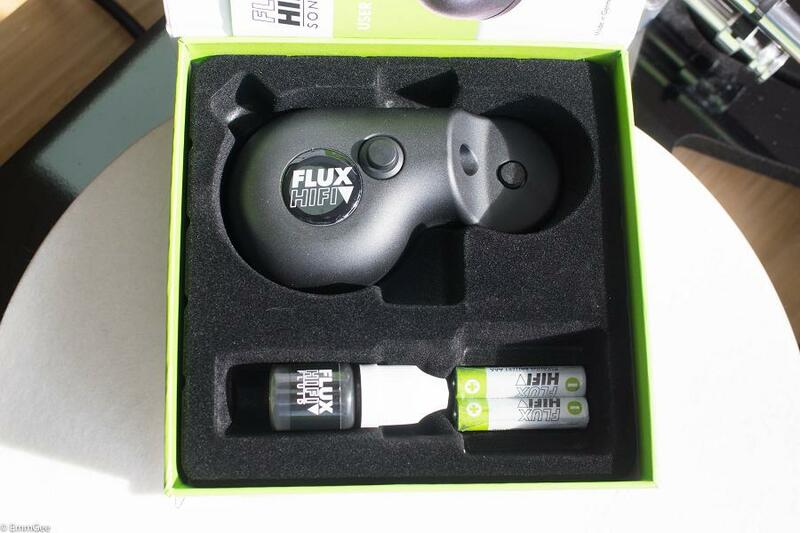 Batteries and cleaning fluid are included, all packaged in a good quality box for keeping it safe between cleans. So there you have it, the Flux Sonic stylus cleaner, protecting, prolonging and improving your vinyl life.